Thanx for your interest. Behind this cover you will find my cyber garage, tattoo studio, poems, rants & raves, musings and general insanity. 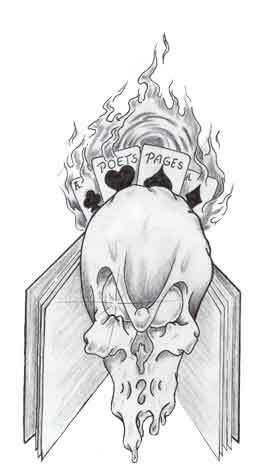 As well you will find submitted poetry and links to sites of interest to me. Along the way find time to stop by and sign my guestbook, just watch out for the oilslick ... (my version of a cyber blackhole), step on it an off you go to God knows where! !